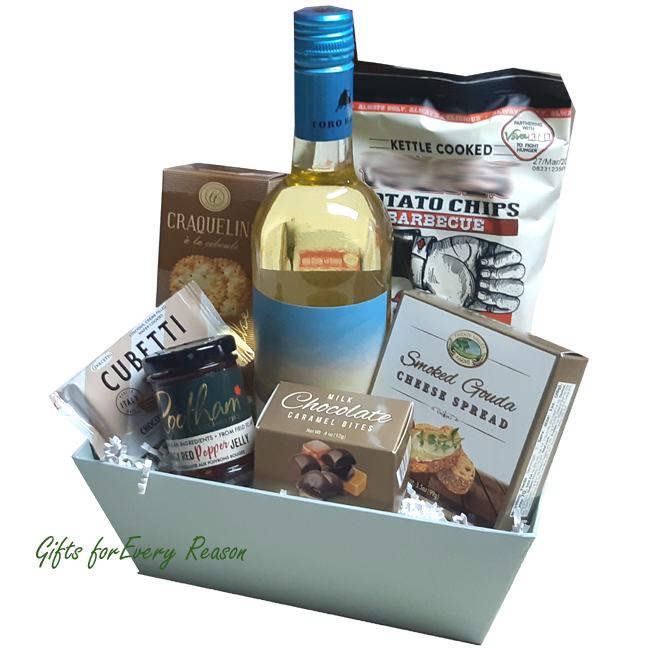 Our best seller and a perfect gift for the Wine Lover. Choice of red or white wine. Approx size 10"x 10"x 16"
Professional wrapped in cellophane, topped with a handmade bow and a note card with your message. Includes Delivery. We just received an email from our client in PEI - wine basket arrived and he loves it!! Thanks so much for your help on this!